Welcome! Today we are excited to launch The Real Deal, a new series of exclusive interviews with people who work in the real estate space in the Hudson Valley. We'll share interviews with interior designers, home stagers, architects, landscapers, contractors, art dealers, owners of boutique stores - and anyone that has a hand in making a property or home the best it could be. We launch our series with Gwen Snyder of The Nest Design offering professional, affordable and gorgeous Home Staging and Redesign services to The Hudson Valley, Central New York, NYC and beyond. 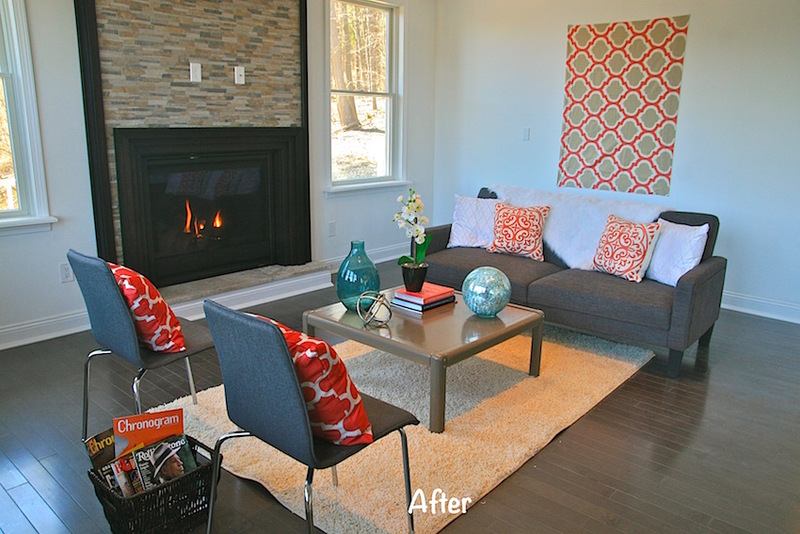 Join us as Gwen takes us on her journey from one day asking, “Home Staging? What is that?? ?” to building a sought after business as a stager composing harmonious spaces throughout the Hudson Valley. Take a look at Gwen's Youtube video. 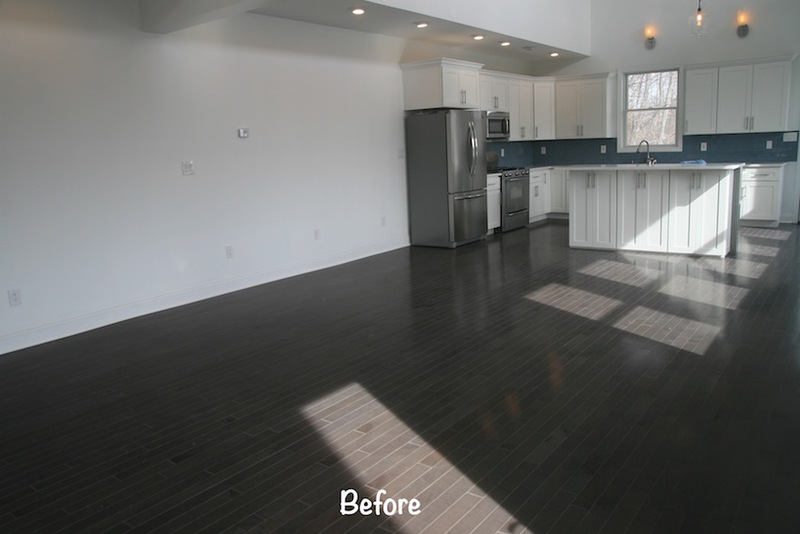 "The Nest Design had the honor of staging this new vacant home designed and built by Nicholson Blunt LLC. We partnered with local shop Classic Country for furnishings and accessories. The results were astounding! Organic, Modern, Comfortable, Luxurious! 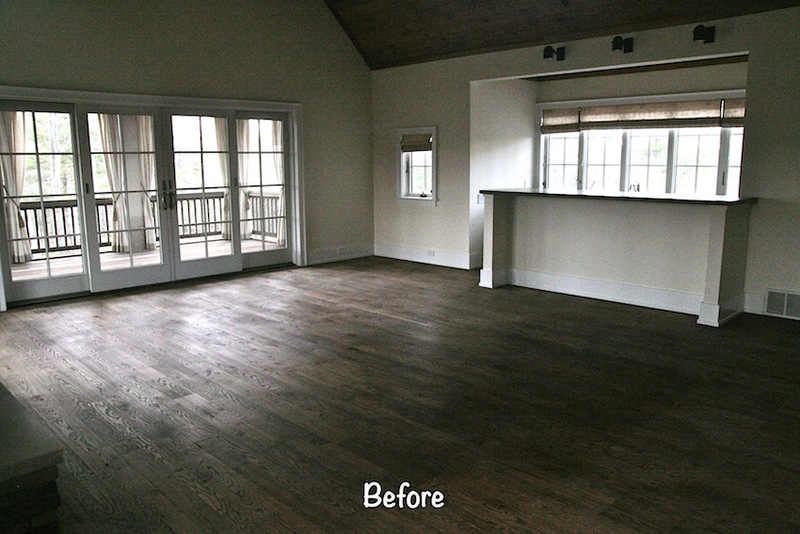 The entire project was arranged and delivered in a very short time and the realtors and owner loved it!" 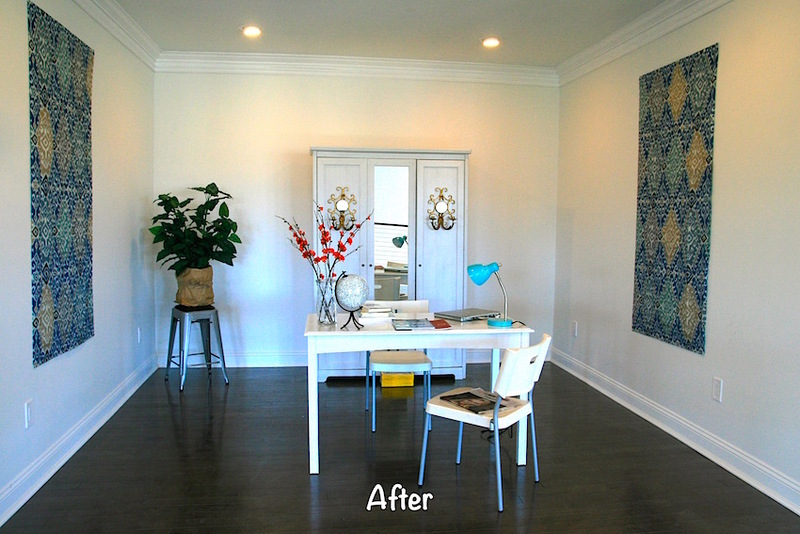 Halter Realty: Tell us how you got started in Staging and Redesign and what a typical day looks like. Gwen: The Nest Design began as an offshoot from The Nest Rentals. I had a lot of fun re-doing my brick Victorian in the village of Saugerties to be a funky, colorful guesthouse. Much positive feedback on the design of the house from the guests lead me to a desire to transform other interiors. My Mom is a long time real estate broker and she mentioned the term “Home Staging”. An alarm went off in my head, “What is THAT? ?” I asked. She explained. I knew I could do that!!! From pleasing guests, to pleasing buyers…. an easy transition… I began work on my certification immediately. There is no real typical day in my life as a stager, since each property has its own unique needs and each home’s process is different . There are steps I do take with each vacant home staging project. I visit the home, give an estimate and usually have to try to sell the homeowner on the value of staging. Then I return when given the green light and take "before" photos, measurements, and draw up floor plans and wish lists for each room that will be staged. I locate the items in the field or within my storage buildings. I schedule my movers, load in based on my notes and then take some deliberate time placing accessories, tableware, bedding, window treatments, etc. I take into consideration the rules of good design and then have fun breaking some of them! I also consider the target buyer and try to make them fall in love with the home! 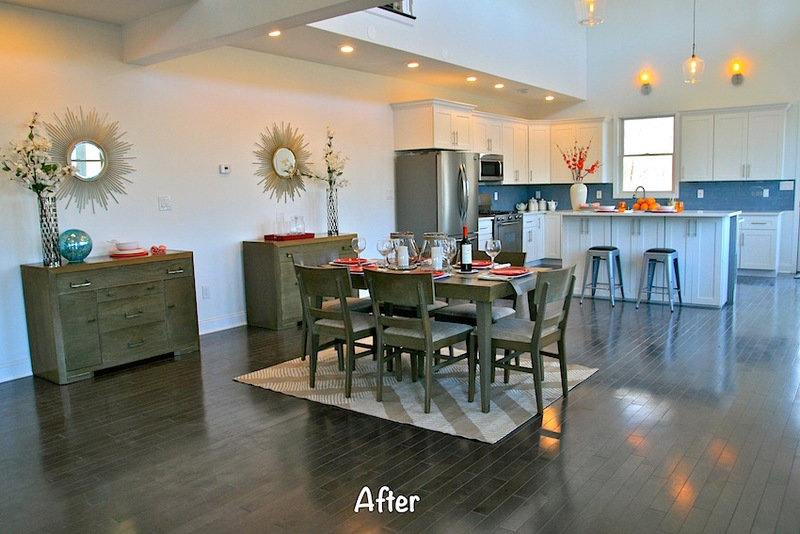 Halter Realty: What was your very first staging design project? Gwen: I met a local Realtor (c) named Hilary while searching for a home for my family in Woodstock – she gave me my first shot at staging. 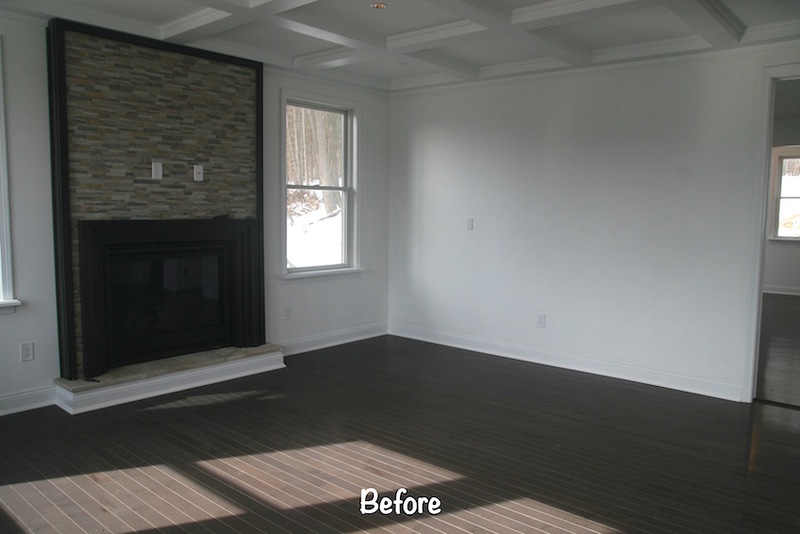 It was an amazing vacant Craftsman home in Phoenicia. The homeowner also believed in me. He allowed me to pick through and use furnishings he had in storage. Putting the pieces of the puzzle together was really fun. The home had multiple offers within weeks! I so appreciate the opportunity Hilary gave me to get my business started. 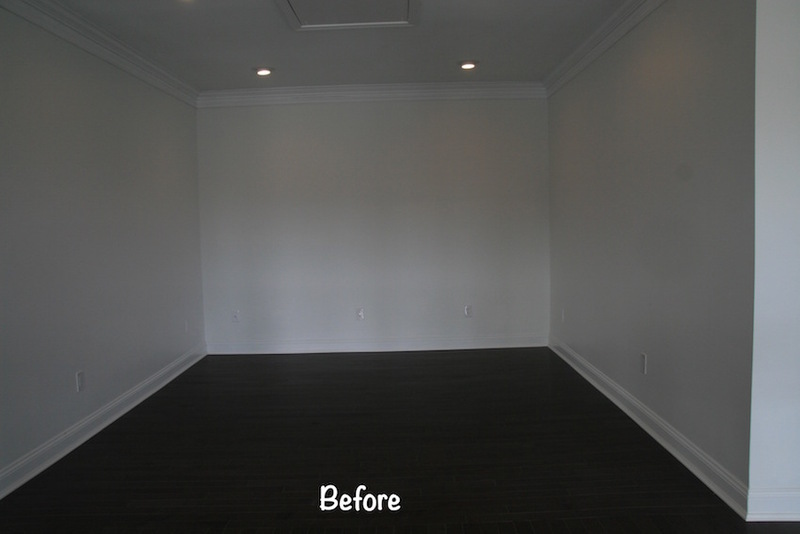 Halter Realty: How do you go about staging a room? A house? What inspires you? Gwen: The first two questions I ask when staging a room are: (1) What is the focal point of the room and how can I accentuate? (2) What is the function of the room? When touring the entire house I decide what the function of each room will be and when vacant, what rooms I’ll be staging. It isn’t always necessary to furnish every single room in the home to be effective. What are most important are the entry…and the first impression. Then its important to find a family area with a TV viewing option, a formal living room with hints towards convening with friends and family, a dining room with warmth and entertaining, and the master bedroom has to be cozy and luxurious. The kitchen and two bathrooms should be accessorized with emotional connection points so that buyers can envision themselves living there. When buyers have to question the scale (how will my furniture fit in here?) or function of room (what would I use this room for?) they may walk away. Only 10% of people can visualize what isn’t there. The other 90% will see what is there, so you have to spell it out clearly and beautifully. I seek to bring out the positive potential in a room, while downplaying (sometimes even covering) the negative. When staging each room I consider the focal point and create a color palette, which will flow with other rooms. When working with the furniture arrangement we also need to keep chi flowing. I think about the path buyers and realtors will be taking as they view the spaces and try to keep thoroughfares open and airy. I consider lighting and the energy that it brings to a space…. and finally…. it has to smell good too! 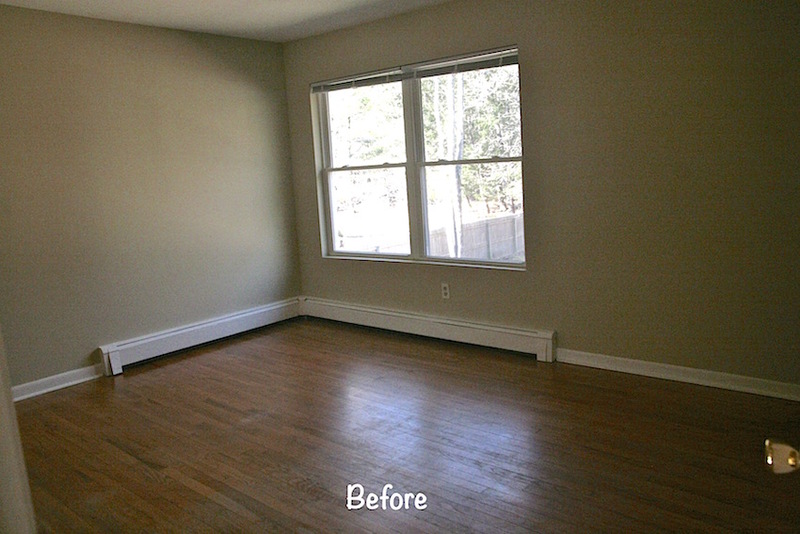 A beautiful room that smells musty will not make a good impression on buyers. I can be inspired by unexpected things when staging a room. A feeling I want to create when entering, the architectural style, the colors that could happen in the space, as well as textures and shapes, the function, and a thematic expression with accessories. Halter Realty: What are your favorite design magazines or websites for inspiration? Gwen: I LOVE Traditional Home Magazine because they feature designers that are super creative. They show eclectic and unexpected spins on “Traditional”. I also love Veranda magazine and New York Spaces (for more modern, urban approaches to design). I don’t study online sites much for design inspiration. The screen just doesn’t do it for me. I prefer hard cover coffee books and treasure my collection – although I always wind up putting them in the houses I stage and have to go without them for periods of time! Halter Realty: What are this years design trends and which do you dislike or favor most? Gwen: The modern farmhouse style seems to be really “in” right now, as is mid-century modern. Because of the architecture of homes here in the Hudson Valley, I’m allowed to explore these styles. Fun! I think most stagers favor “modern”, but there are so many sub-styles within this category. Modern leaning towards super-neutral, stark, simplicity can go too far and actually wind up feeling cold. 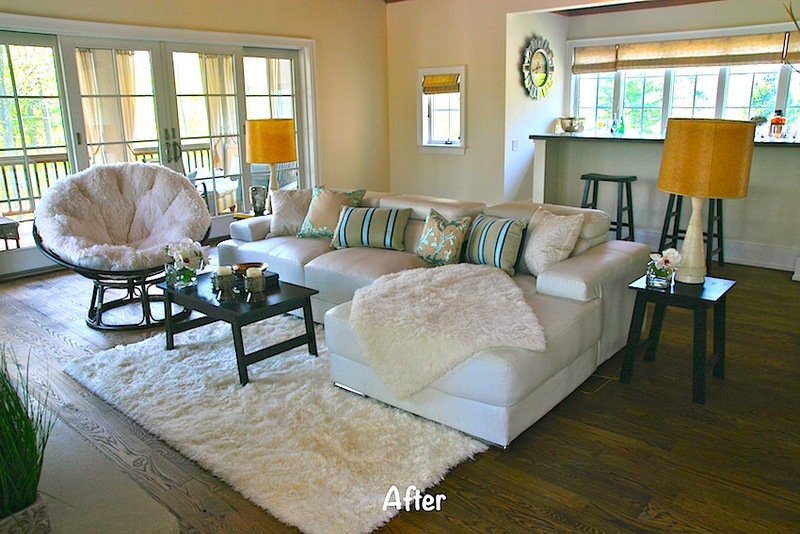 Neutralizing, editing and updating is a goal of staging, but it is possible to go too far with this. “Warm and inviting” will create more offers. You can make it modern, but you have to make it welcoming as well. Halter Realty: What are your top 5 tips staging tips for people getting ready to sell their house? Gwen: I’m sure Realtors also suggest this to homeowners to prep for a speedy sale. Take care of small obvious repairs and modernize and update as much as possible (this includes furnishings). Fresh coat of paint does WONDERS to exterior and interior of the home…and you don’t have to over-neutralize with stark white everywhere inside. This could cause that “cold” feeling described earlier. Halter Realty: What’s the most memorable career advice someone gave you? Gwen: From the “7 Habits of Highly Effective People” given to me by my brother, “Seek first to understand and then be understood”. I feel this is the best advice for career and for life. As a stager, I seek to understand the homeowner needs. I have to listen first. Selling one’s home can be very emotional. I also have to listen to the Realtor’s professional take on the home. Each situation is different and each project requires something specific. If I’m not directly dealing with homeowner or Realtor I listen to what the home itself tells me. Then I make my plan, do my work and hopefully everyone (especially the buyer!) will understand the design choices I made. When it works, it just works. There is a psychology to staging. If a buyer can envision themselves living there, they may make an offer. Halter Realty: What would be your dream job? Gwen: The most challenging job of my staging career is about to happen. It’s a bit intimidating, but it may be a dream job because it’s an historic mansion on the Hudson River that is of museum caliber. It’s so beautiful that it’s just a dream to be there. I wander the rooms pretending its 1850 and I’m old school American royalty living there! I have to live this dream to rise to the occasion of its grandness and do the property justice. Halter Realty: What’s the most frustrating aspect of your job and the most rewarding ones? Gwen: A frustrating situation that I encounter at times is when the homeowner comes in to assess my work while I’m deep in process. With design and other home improvements, sometimes things get worse before they get better. I am beginning with a vision in mind and if I’m not allowed to smoothly get to the completion of the vision, or my energy is thwarted, it can be frustrating. I ask homeowners to hold off on judgment until I’m done. I don’t mind at all changing things afterwards if necessary (and that has hardly ever even happened), but I need the freedom to take the vision to completion. It is also challenging when a homeowner is reluctant to do the work it takes to sell their home, or take mine or the Realtor’s advice. Letting go of a family home is hard and I totally understand their position and try my best to be sensitive to everyone’s needs. The best reward is when homeowners and realtors thank me after a speedy, lucrative sale and when they leave a positive review. A recent home sold the first day on the market with multiple offers. I love giving the Realtor and homeowner a big high five and a “WE DID IT”!!!! Halter Realty: Tell us something about yourself that we might find surprising? Gwen: I am a songwriter, vocalist and producer. My roots are in experimental theater. Home staging makes sense to me and I try to compose harmonious spaces. For me, writing and recording a song is parallel to designing a room. Whether it be an instrumental part or a dining room table, it has to be put in the right place with the right tone, volume, rhythm, color, texture, balance, scale….it's just that design has visual components and music aural/ethereal components. I enjoy creating both rooms and songs equally. Halter Realty: What do you love most about living and working in the Hudson Valley? 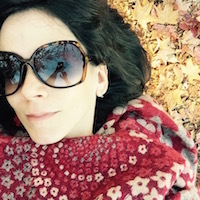 Gwen: Owning a staging business in the Hudson Valley is exciting because of the different styles of architecture I get to see and work with closely. There is a special, (sometimes even eerie and fairytale-like) charm to historic Catskills houses. Sometimes grand, sometimes quaint, buildings consort with nature in a unique way around here. The people aren’t that bad either! Halter Realty: What are your favorite places to shop for special “finds”? Gwen: I’m giving away all my secrets here: I frequent HomeGoods, Habitat Re-Store, Target, yes even Walmart, Marshalls, Saugerties Antiques Mart, Coxsackie Antiques Mall, Burlington, Michaels, JoAnn Fabrics, Big Lots, Lowes, Huck Finn’s Warehouse (there’s an actual carnival there! Next time I have to bring my daughters to work, here’s the destination!). I also find valuable inventory...in my parent’s attic. I believe in recycling, re-using, re-purposing and restoring furniture. With a little work (and imagination), you can make it work…and on a dime. Time and energy will save you great expenditure. Halter Realty: What’s your greatest extravagance? Gwen: There is not one item I invest more money in than others; I see the importance and am deliberate about each piece. But I really try to make a bathroom have a luxurious, spa-like feel and I try to make a dining room table magnificent and worthy of an awesome dinner party. When I think I’m done staging, I go back and figure out what will take it over-the-top. Then I make more small purchases or finds in my arsenal if necessary. Halter Realty: It’s 5:00 on a Friday - where will we find you?